One of the essential components of any development platform is package management. Every major platform has a package manager that stores all essential packages that are used by developers around the world, and developers consume these packages whenever they need. Package management increases code reusability, reduces duplication and also optimizes size of the files to be deployed, as the build servers can also use package managers to resolve the dependencies. Note: If you are new to Node.js, please go through these articles to get a good understanding of Node. NPM contains a huge number of packages contributed by the Node.js team, companies like Strongloop, Microsoft, and others and even independent open source developers. All public NPM packages are available on the global NPM registry. We can write our own packages and add them to the global package as well. NPM also has support for private package system.Otherwise, we can also setup our own private registry in our own domain and publish the packages there; these packages will remain private, as they won’t be accessible outside the domain. If this command runs, be assured that NPM is installed on your machine. Upon running the command “npm run serv”, it installs the packages and runs the gulp task serv. To learn more about these directives or, the other directives of package.json file, you may visit the official documentation. Here, the package name can be name of a package from NPM registry, a remote git URL (can be on any git based repository), path of a local folder or, path of a .tar file (file path or web URL). Version number is an optional parameter. If version is not specified, it installs the latest version of the package. Upon running this command, the package gets installed and the files of the package are saved inside node_modules folder. 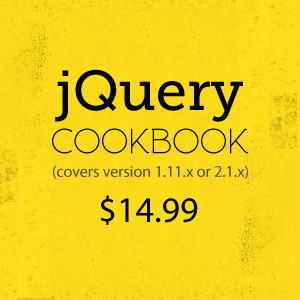 The entry of the package is not added to package.json file. To get the entry added, we need to specify the --save flag in this command. If you joined a team that is already working on a Node.js based project and you cloned the repository to your system, the first thing that you need to do before starting work is, installing packages. 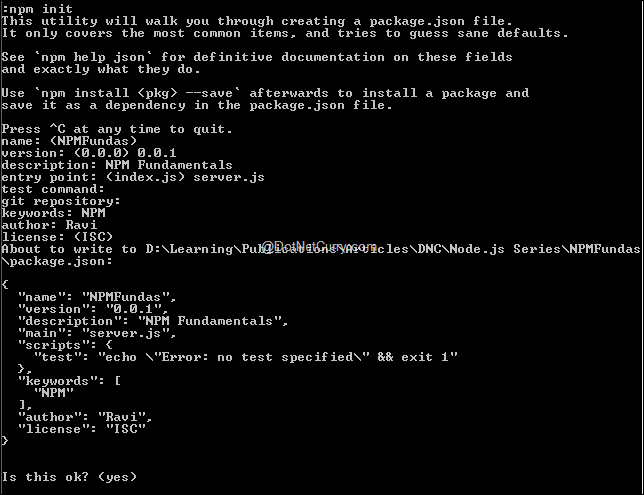 To make the setup process of the project smoother, the projects should contain the package.json file. If you have this file in the project, you just need to run the command “npm install” to get all dependencies installed. If you want to save the updated version number, you need to specify the --save flag that suits your requirement. Similarly, if an existing package has to be uninstalled and the change has to be saved in the package.json file, we need to run the uninstall npm uninstall command. These packages can be updated and removed using the same set of commands that we discussed in the previous section, we need to pass the flag to indicate that the package is global. Every package in turn may be dependent on other packages. These packages are installed inside folder of the package. Out of these packages, the packages specified in devDependencies and optionalDependencies sections are not installed while installing the package. The packages specified in the dependencies section are considered essential for the package and they are installed inside the folder. npm search: To search for packages in the registry. It lists all the packages that match the search criteria and shows description of the package from its package.json file. npm pack: Creates tarball of a package. If name of an installable package is passed in, it fetches the tarball of that package to the current folder. Of no package is specified, it created a tarball out of contents of the current folder. npm publish: Publishes a package to the registry so that the package can be re-used. By default, it stores the package in the global registry. If your company has a private NPM registry, you can override the behavior by setting the default registry to the local registry. List of all commands can be found under CLI Commands section of the official documentation page on NPM’s site. NPM is a very rich and useful package manager. A huge number of packages are already available there and new packages are added quite frequently. The importance of NPM is increasing these days because of the popularity of Node.js environment. I hope this post makes you confident enough in dealing with NPM in your projects.